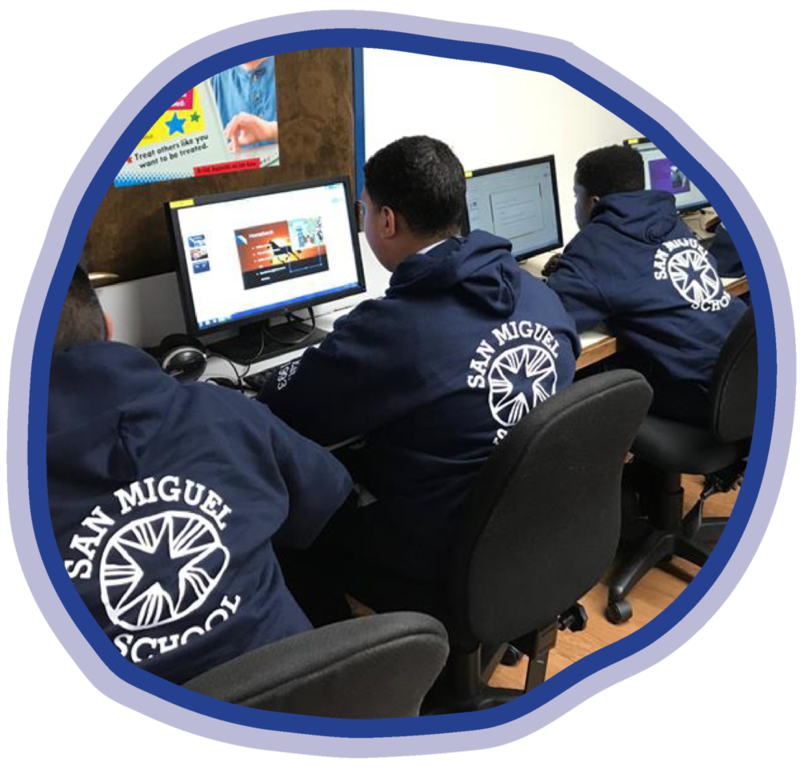 Our Graduate Support team is always looking for ways to communicate with alumni and invite them back into the San Miguel community. Alumni are always welcome to come back to San Miguel and share their stories of success for all of us to celebrate together. Families of alumni are also invited to reach out to San Miguel with updates and remain as members of the San Miguel family. San Miguel alumni are always invited to return to San Miguel and attend Morning Assembly. Graduates who attend Morning Assembly are presented with an exclusive alumni-only t-shirt, and get chance to interact with current San Miguel students. Through this process students can ask our alumni various questions about life after San Miguel, and ultimately get to identify with different paths to success. Our Alumni Committee headed by the Graduate Support Director, focuses on strengthening a network of San Miguel graduates, and ensuring that alumni can have an impact on future graduates. The committee has organized alumni reunions and even produced San Miguel’s first ever alumni to serve on the Board of Directors. Graduates come back to San Miguel and participate in various discussions about ways to succeed in life. Our Life Skills workshops often focus on positive habits and strategies that our graduates can implement to better position themselves to succeed. Topics can range from study habits in school, to savings/personal finance. The blend of graduates with varying ages within these groups, often helps to provide perspectives of the different stages of life and as a result, allows for mentoring moments within our alumni network. Graduates and their families can access our food pantry at any time. During the holiday season, Graduate Support will give some families of alumni, baskets of food and canned goods made up of items from our pantry. The holidays provide a reminder and an opportunity to show thanks for all of the families of alumni that San Miguel is thankful for.